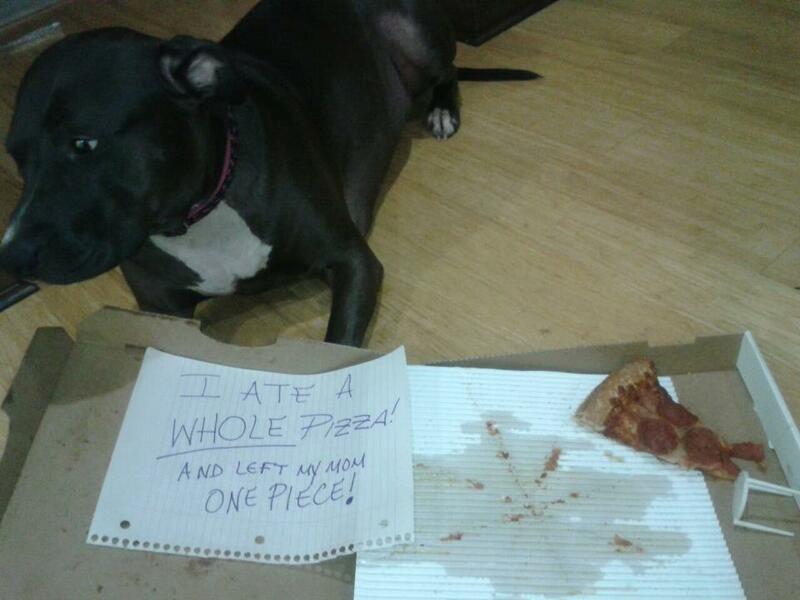 Posted June 20th, 2013 by & filed under Pilfering Pooches, Submitted. Louis didn’t move a muscle when I found him like this, he had already chewed one Nerf bullet and the second one was stuck in his giant lip flaps! Looking for a trap door!!! Posted May 30th, 2013 by & filed under Renovation and Redecoration, Submitted. 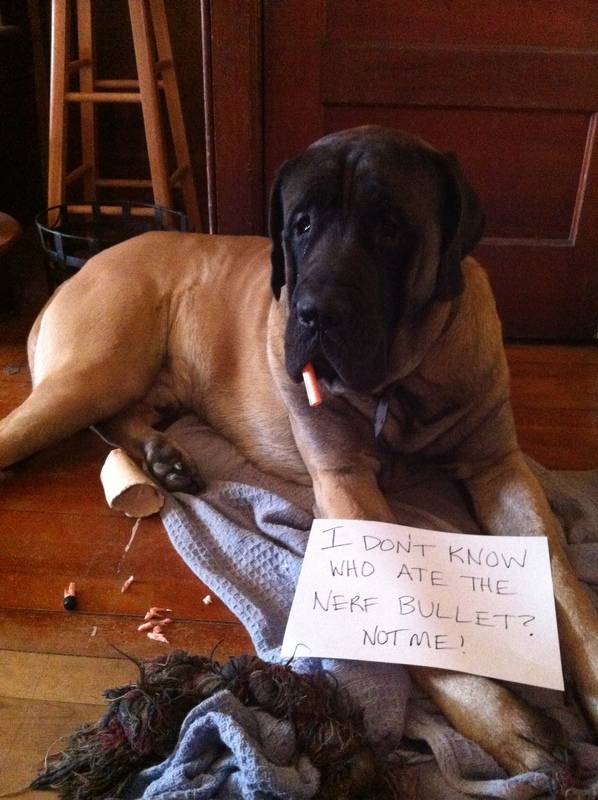 120 lb dog = massive destruction!!!! 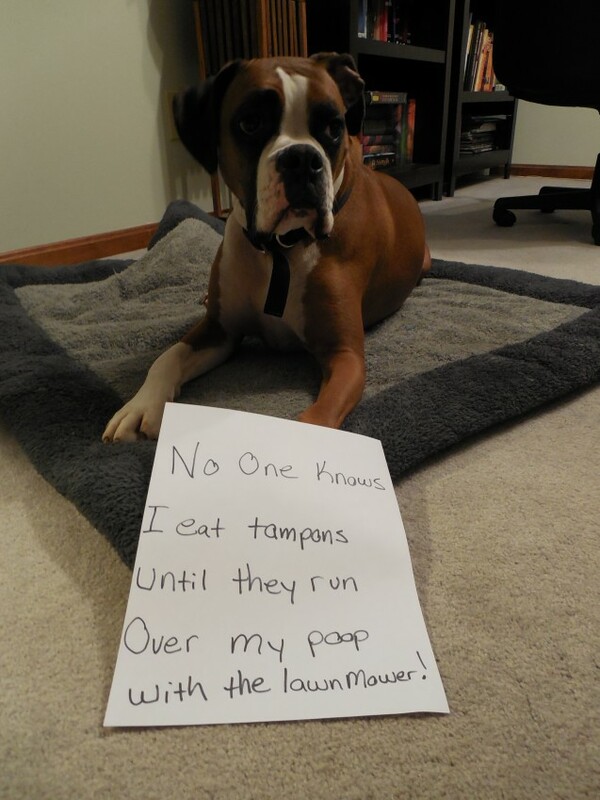 Posted May 14th, 2013 by & filed under Disgusting Doggies, Submitted. Have a cone and run into everything in the house, but still manage to get in the trash! Posted May 9th, 2013 by & filed under Renovation and Redecoration, Submitted. 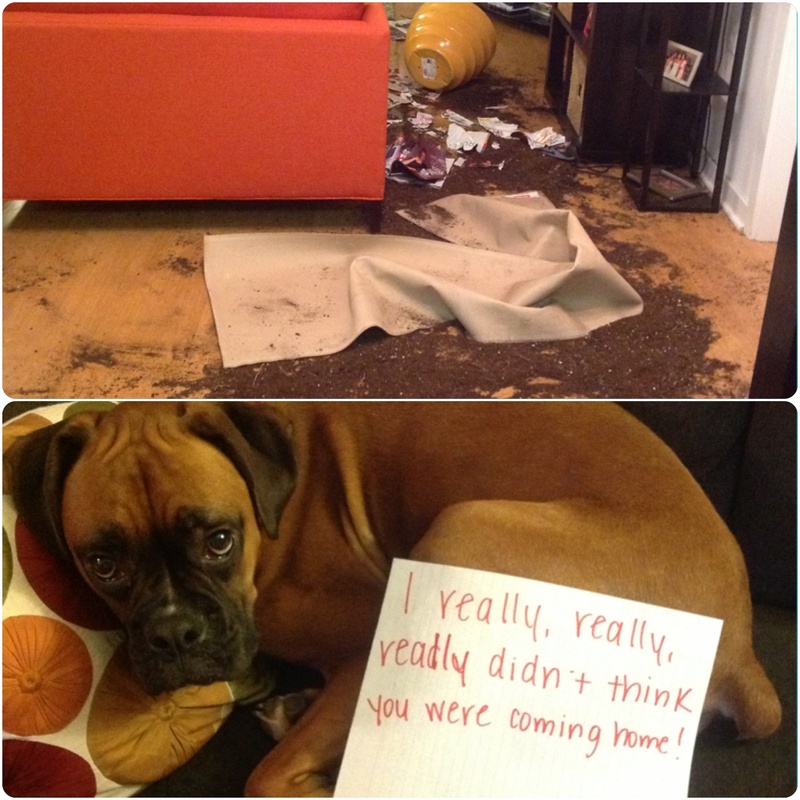 Moose’s masterpiece…he had a fun afternoon! 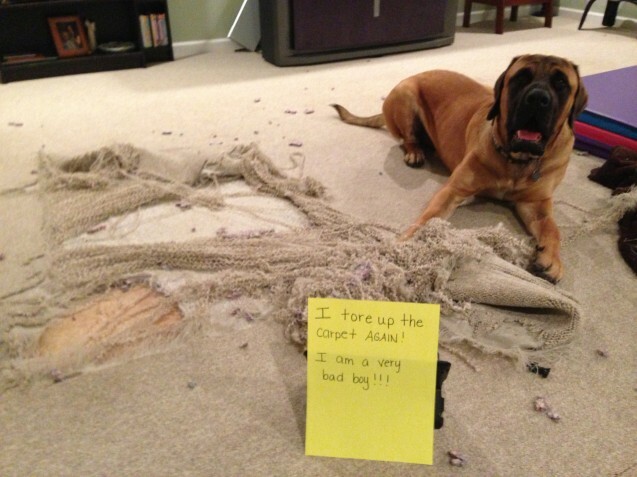 Posted April 26th, 2013 by & filed under Adoptable Fridays, Dog Bed Destruction, Submitted. Caption: My name is Ginger. I am a foster dog with happy tail. My foster mom lined my crate with foam ($30-$40 worth of foam) so it would heal. I destroyed it as soon as her back was turned so I still have happy tail. Ginger is a 3 year old Mastiff with Great Lakes Mastiff Rescue being fostered in Chicago, Il. Unfortunately, we were not able to heal her happy tail so she had to have her tail docked. 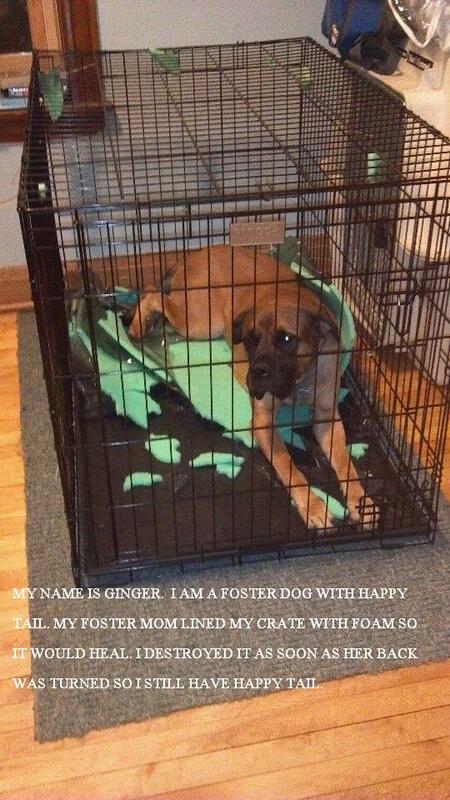 Ginger is a lovable, small Mastiff only weighing in at 110 lbs. Though small in stauture, she’s big on love. She wants nothing more than to be right next to you at all times. She’s recently started agility training and is doing fabulously. Ginger has high anxiety and OCD so needs to be on daily dosages of clomicalm which helps her greatly. Even with the calming meds, she still continues to be a counter-surfer extraordinaire but no longer needs to steal all the toilet paper in the house for which all the humans are very happy. If you’re interested in finding out more about Ginger, please click here. 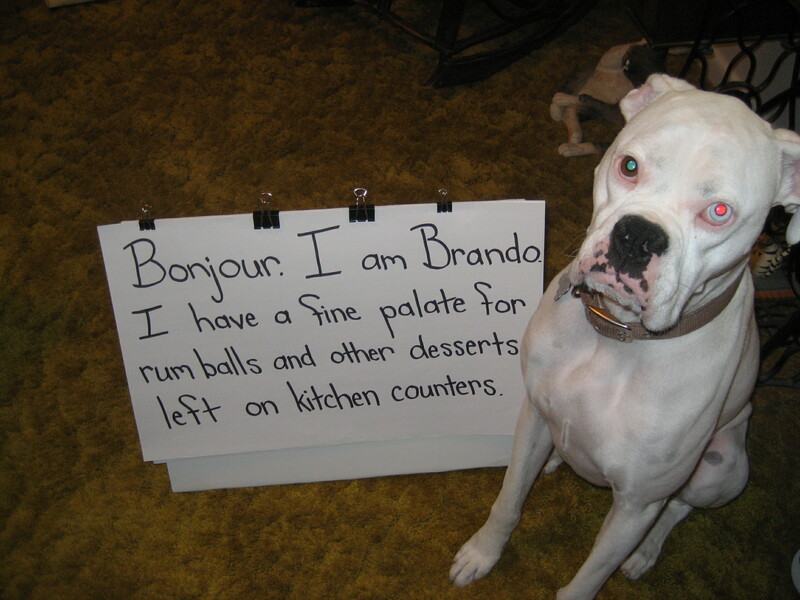 Posted March 23rd, 2013 by & filed under Pilfering Pooches, Submitted. 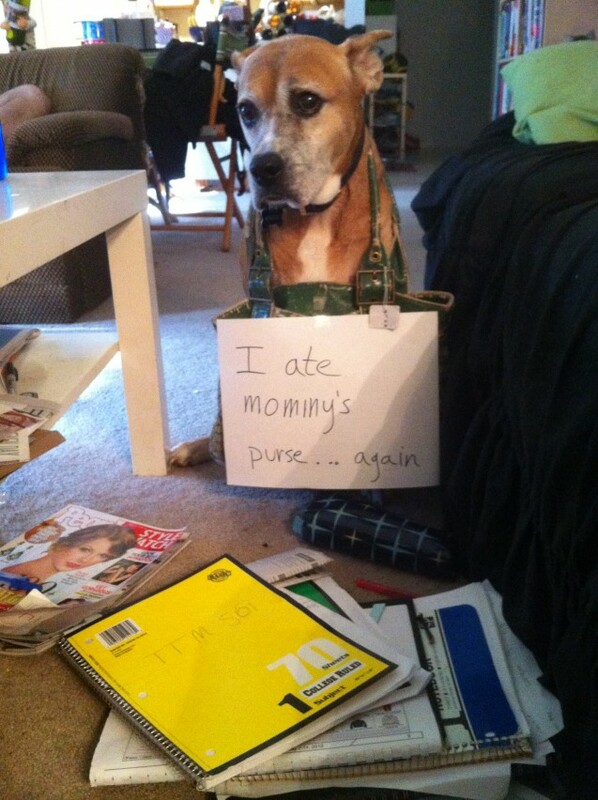 Posted March 17th, 2013 by & filed under Pilfering Pooches, Submitted. Posted February 27th, 2013 by & filed under Pilfering Pooches, Submitted. 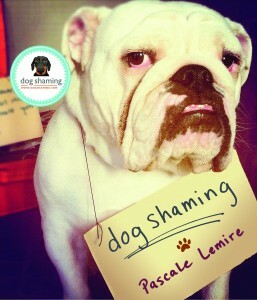 When dog shaming goes good! 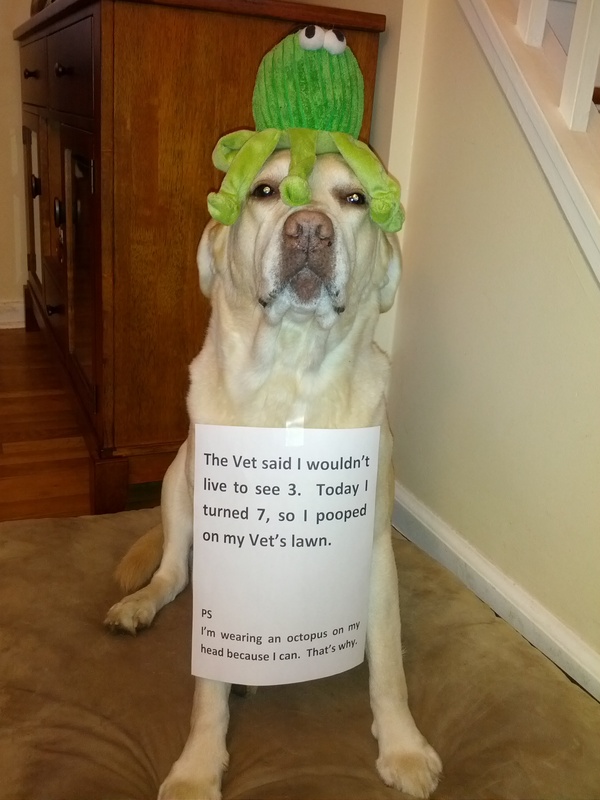 Posted February 20th, 2013 by & filed under Submitted, Surprise Poops. I hope to shame him for many years to come. Posted February 19th, 2013 by & filed under Pilfering Pooches, Submitted.